Zaleski State Forest is Ohio’s second largest state forest, encompassing 26,827 acres. The forest contains 50 miles of bridle trails, 16 horsecamp sites, and surrounds both Lake Hope State Park and the Moonville Rail Trail. 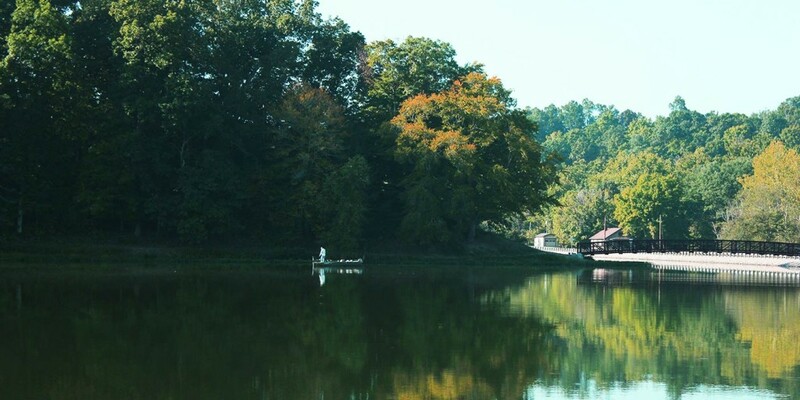 The 16-mile Moonville Rail Trail takes visitors through the beautiful woodlands of southeast Ohio, including Zaleski State Forest; the communities of Zaleski and Mineral; and the Lake Hope State Park wetland areas. The corridor holds water on both sides of the trail, creating a wetland area that is home to numerous species of flora and fauna. Additional points of interest along this trail are two unique and historic tunnels. King’s Hollow Tunnel (also known as King Switch Tunnel) is a 120-foot structure carved through the rock and lined by a series of 12×12 wooden beams. The Moonville Tunnel is brick-lined and has a long history of train accidents, earning the tunnel a reputation for being haunted. The rail trail is a work-in-progress, with a rugged surface and some steep inclines. Some bridges are still missing, requiring horses to cross creeks. Tar Hollow State Forest is Ohio’s third largest state forest, containing 16,354 acres. A 46-site primitive horse camp is located at the south end of the forest on Poe Run Road. Latrines are provided at the camp, but electricity and drinking water are not available. Radiating from the horse camp are 33 miles of bridle trails. All bridle trails are south of the fire tower. Hutchison Horsedrawn Wagon & Carriage Service can be found at many local events, and also offers a guided wagon tour of Moonville Tunnel. Equestrian Ridge Farm offers horseback rides for individuals, couples, or small family groups on well trained gentle horses. Uncle Buck’s Riding Stable & Dance Barn provides guided rides for families and groups of all experience levels on gentle, well trained horses. Uncle Buck’s dance barn and catering services make for an exceptional event venue.